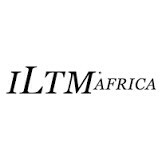 ILTM Africa 2015 is receiving significant demand from both new and established luxury travel buyers from Africa’s most important source markets. 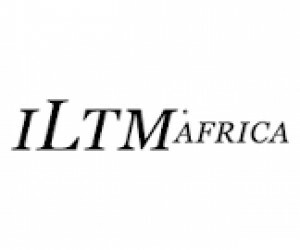 Taking place from 13 – 15 April in Cape Town, ILTM Africa – part of ‘Africa Travel Week’ – ILTM Africa is now qualifying buyers that represent the leading luxury travel agents from the UK, Northern Europe and the US. Over 80% of the total number of attending buyers will be new to ILTM Africa and over 50% of these will be new to the ILTM portfolio, meaning exhibitors will never have met them at any previous ILTM event. Specifically, organisers are increasing the numbers attending from the UK by 15% and the US by 35%. Hosted luxury travel buyers will also come from Hong Kong, Singapore, India, Canada, France, Germany, the Netherlands and other European countries and all must be Africa specialists. They are qualified under a strict criteria that ensures those attending must have been established within the luxury travel market for at least 12-18 months and be able to provide references of luxury travel business placed within Africa over the last 60 days. Buyers are selected so that they represent all key markets on a pre-defined percentage basis. Taking advantage of this new dynamic event format, exhibitors already confirmed to attend ILTM Africa 2015 include the Blue Train, Kenya’s Angama Mara, the soon to open Leeu Collection in Franschhoek , Cape Town’s African Elite Properties as well as Zambian safari lodge Tongabezi, Malawi’s Kaya Mawa lodge and Zimbabwe’s The Victoria Falls Hotel. For further information, please visit www.iltm.com/africa or contact: Greta Downie, greta@thebereed.co.za. For further Africa Travel Week information, please visit www.africatravelweek.com.